← Guest Blog by Sonya Landau: Unsustainable Desert: People Have Been Living in Tucson for Thousands of Years; How Much Longer Can That Continue? 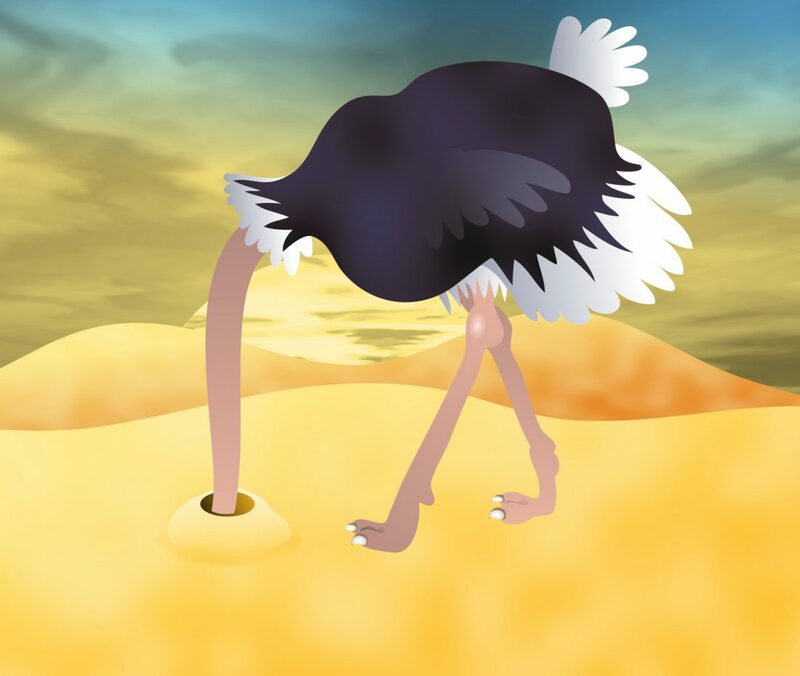 Ostriches don’t actually bury their heads in the sand in the belief that it makes their predators unable to see them – but many of us do. Unfortunately many such human ostriches occupy high level positions of our government, putting us all – including our children and grandchildren – in great danger. In addition, while in theory there is a law that mandates all developers must prove that there is a 100-year water supply before starting any large development, the Arizona Supreme Court recently ruled in favor of developers, effectively gutting this protection. The majority said the state agency need not consider other potential future claims for the same underground water — in this case, by the federal Bureau of Land Management — or even the possibility that those other claims could end up leaving the development and the people who buy homes there high and, literally, dry. The privately owned Rodanthe pier has already undergone half a million dollars in renovation in seven years and the owners started a new round of repairs this week. Scientists have warned such rebuilding efforts are futile as sea levels rise and storms chew away the coast line but protests from developers and the tourism industry have led North Carolina to pass laws that disregard the predictions. The idea of retreating is a tough sell for the people who live there and have invested in property. “You’re asking us to say, ‘Hey, 4,000 or 5,000 people on little Hatteras Island, it’s time for you to pack up and move,’ and that’s not a reasonable expectation,” said Bobby Outten, manager for Dare County on the Outer Banks. Florida, one of the States most susceptible to the effects of climate change and sea-level rise, verbally banned state environmental officials from using the term “climate change,” an investigation revealed. But the Sunshine State isn’t the only U.S. state that has attempted to “outlaw” climate science. North Carolina, Louisiana and Tennessee have all passed laws that attempt to cast doubt on established climate science in boardrooms and classrooms. This sort of denial comes from the very top and continues in spite of repeated proof of the grave reality of climate change. INCHEON, Republic of Korea, 8 Oct – Limiting global warming to 1.5ºC would require rapid, far reaching and unprecedented changes in all aspects of society, the IPCC said in a new assessment. With clear benefits to people and natural ecosystems, limiting global warming to 1.5ºC compared to 2ºC could go hand in hand with ensuring a more sustainable and equitable society, the Intergovernmental Panel on Climate Change (IPCC) said on Monday. It was given to me. And I want to look at who drew it … Because I can give you reports that are fabulous, and I can give you reports that aren’t so good. But I will be looking at it, absolutely. While his quote is somewhat garbled, he seems to be saying that he doesn’t entirely trust the report. It is a bit odd for him to claim he doesn’t know who created it though, given that – as I just mentioned – the US is a party to the IPCC and someone in his administration had to sign off on it. On a positive note, the new report – for the first time in the IPCC’s history – discusses the transition into the Anthropocene (type Anthropocene into the search box of the blog to see previous coverage). Next week’s blog will explore that addition. This entry was posted in administration, Anthropocene, Anthropogenic, Climate Change, Extreme Weather, IPCC, Sustainability, Trump and tagged Adaptation, Alabama, Anthropocene, Anthropogenic, Arizona, build, censorship, Clean Energy, Climate Change, Climate Change Denial, Climate Change Deniers, climate refugee, Climate Skeptics, coral, damage, develop, developers, Donald Trump, Drought, Extreme Weather, fear, Flood, Florida, Future, Georgia, Global Warming, governance, governing, Government, Hurricane, hurricane florence, hurricane michael, IPCC, North Carolina, ostrich, Policy, policy makers, predict, Prediction, projection, reconstruction, Science, sea ice, sea level, Sea-Level Rise, storm, Trump, US. Bookmark the permalink.